Naijacynth's Revolutionary Quote of the Day Goes to?? 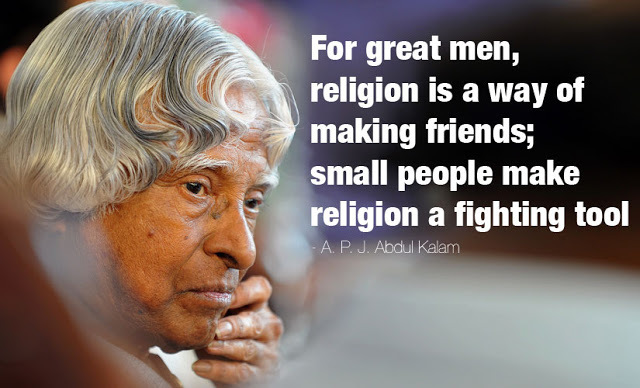 A quote from Dr. APJ Abdul Kalam, the former President of India who passed away on Monday, July 27th 2015. He was the 11th President of India from 2002 to 2007. A career scientist turned reluctant politician, Kalam was born and raised in Rameswaram, Tamil Nadu and studied Physics and aerospace engineering. Avul Pakir Jainulabdeen "A.P.J" Abdul Kalam was born October 15, 1931. Some of the awards he received are- Bharat Ratna, Padma Bhushan and Padma Vibhushian.